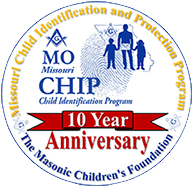 MoCHIP is a comprehensive child identification and protection tool designed to give families a measure of protection against the ever increasing problem of missing children. This program is provided free of charge to every family who wishes to participate. 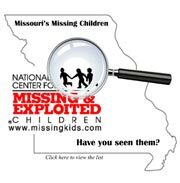 It is our sincerest hope that no family will need the resource provided in our packets, but if the need should arise we believe the information that we provide from our program will be instrumental to law enforcement agencies in the recovery of a missing child. The Missouri Freemasons schedule and present this fine program to communities throughout Missouri. MOCHIP is a part of the National Masonichip network (http://www.masonichip.org/) sponsored by the Conference of Grand Masters of Masons in North America. 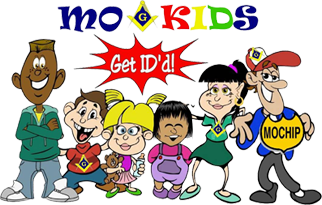 All identifying items generated at MOCHIP events are placed in a pack and given to the parent or guardian to take home for safe keeping. Should their child become missing, the pack can then be provided to law enforcement to aid in recovery and identification. 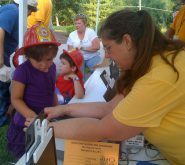 The Missouri Freemasons keep nothing but the permission form signed by the parent prior to participation in the event. 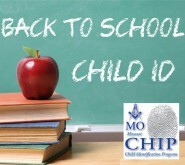 MoCHIP events are held on Saturdays from 10am to 2pm.